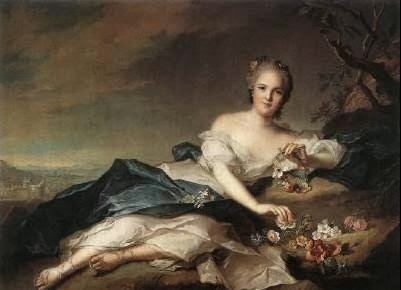 Born in 1732, Marie-Adélaïde, was the sixth child of King Louis XV and his Queen, Marie Leszczynska. In only six years. Poor Marie! The King, who liked to give his daughter nicknames, called Adelaide Loque, which means Rags. Although beautiful, the princess wasn’t very interested in her appearance, and she often looked shabby and unkempt. She also had a headstrong, difficult, and domineering character. 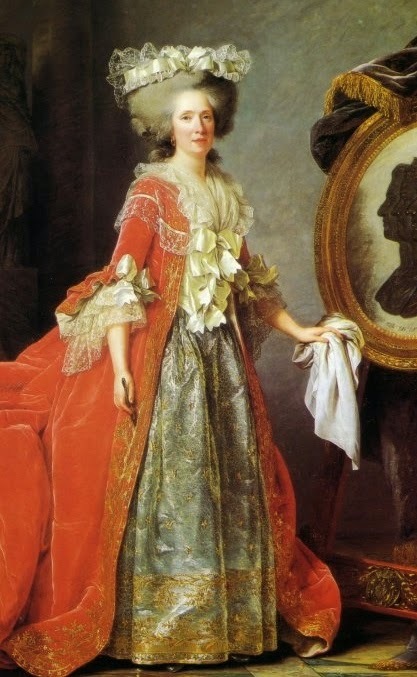 The Comtesse de Boigne described her as “easygoing with her intimates… though extremely haughty.” According to Madame Campan, who was a reader to the princesses, she also had “an immoderate thirst for knowledge” and was very musical, learning to play all sorts of instruments. The princess also studied languages (English and Italian), painting, calculus, and even watchmaking! Of all her siblings, Adelaide was closer to her brother, the Dauphin Louis-Ferdinand, the father of Louis XV. They had grown up together at Versailles, while Adelaide’s sisters had been sent to the abbey Fontevrault for their education. Adelaide was supposed to join them too, but the little girl begged her father in tears to let her stay at home. He consented. Adelaide and Louis-Ferdinand belonged to the Devout Party at court, which was opposed to Madame de Pompadour, guilty in the eyes of the royal children to have stolen their father from their mother. 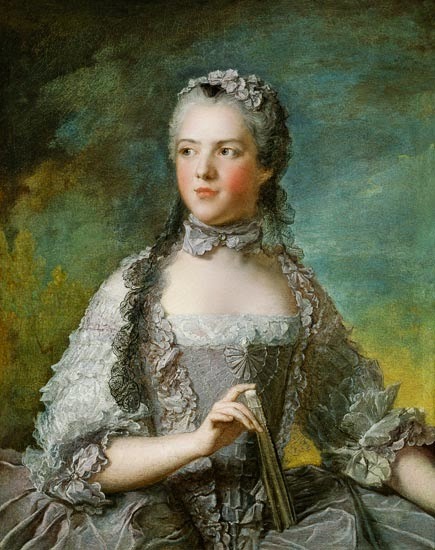 Madame de Pompadour was in favour of an alliance with Austria, while the Devout Party strongly against it. That meant that Madame Adelaide had taken a dislike to her future nephew’s bride, Marie Antoinette, before even meeting her. 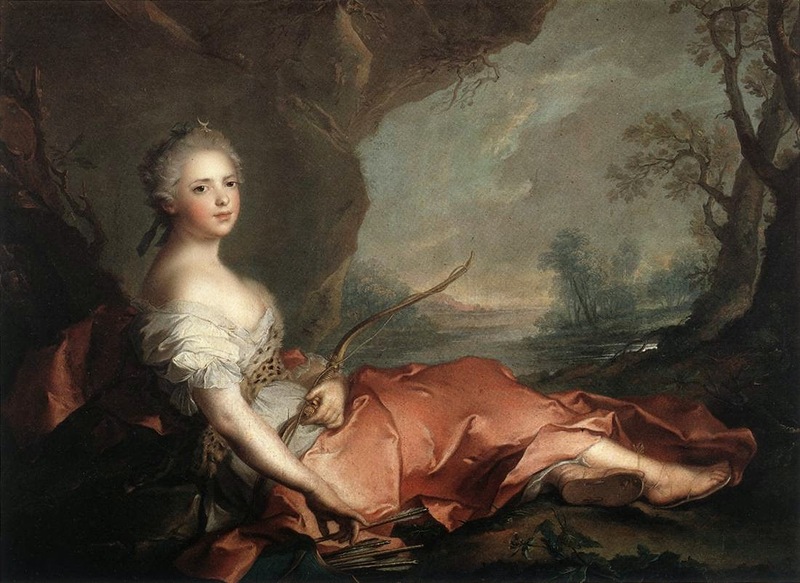 It was this princess that coined the nasty nickname of L’Autrichienne (“The Austrian Woman”). 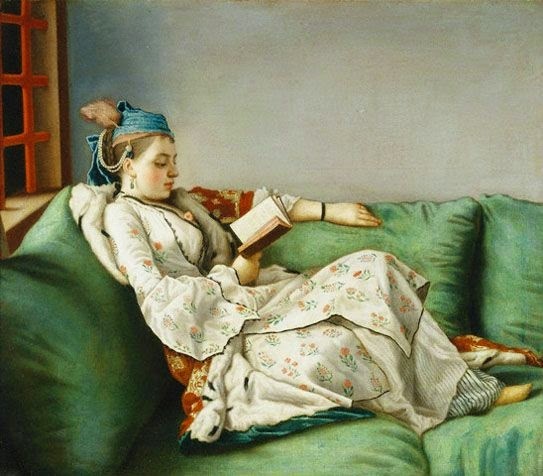 Madame Adelaide led a tranquil life until the outbreak of the French Revolution. Then, together with her sister Madame Victoire, she managed, in 1791, to escape from France. The two princesses sought refuge in Italy, but when the French army invaded the country, they were forced to flee again. The went first to Turin, then Rome, then Naples, and finally, on a small boat, the arrived in Trieste. 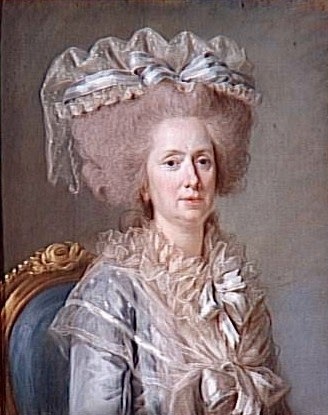 Adelaide, the last surviving child of Louis XV, died there in 1800.